In Lake Arrowhead, householders and businesses count on Ecology’s Hesperia Recycling Center for the simple, lucrative disposal of recyclable items and materials. With excellent prices and a facility capable of handling massive volumes of industrial and commercial scrap, we’re committed to serving all members of the local community. We’re also committed to helping you combine good citizenship with an extra source of income. 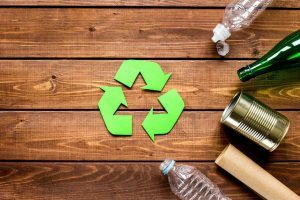 Recycling is helpful for both your bank account and the environment. By turning in scrap metal and CRV materials with monetary value, you can earn income that you would otherwise have lost to your trash bin. 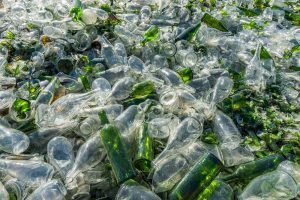 And, just as crucially, when you participate in recycling even once, you help reduce the environmental burdens imposed by the processes of modern industrial manufacturing. The reason for this reduction is a diminished need to subject raw materials to these processes. When raw material processing decreases, industrial plants don’t pump as much smoke and toxic fumes into the atmosphere. In addition, they produce lower amounts of solid and liquid waste. 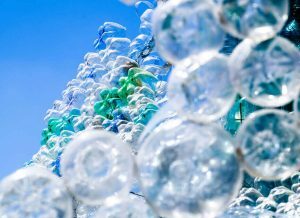 All told, this means that the simple act or recycling allows you to combine financial sensibility with social responsibility and resource stewardship. You also generate scrap when you do such things as throw away an unwanted bicycle or get rid of an old junker car or truck. 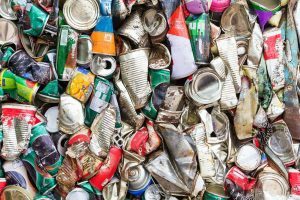 Metals that you can recycle are classified as either ferrous or non-ferrous. Ferrous metals get their name because they contain the element iron. In addition to pure iron, this category includes all forms of steel except stainless steel. 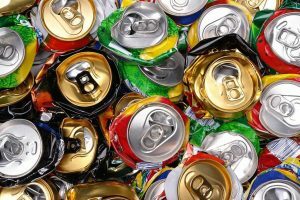 It also includes items that contain some mixture of ferrous and non-ferrous metals. In the typical household, likely sources of ferrous scrap include old appliances and various types of motor vehicles. In a commercial or industrial setting, common sources of this form of scrap include structural steel and metal offsets. Whether from residential or commercial sources, the hallmark of all ferrous metals is their magnetic nature. A quick pass with a magnet will help you separate them from non-magnetic metals. Ferrous metals don’t bring the same price premium as non-ferrous metals. Nevertheless, recycling of ferrous scrap will still provide you with some financial reward. What’s more, you also get the benefits of participating in an ecologically sound social activity. Our facility accepts both steel and iron scrap for recycling. 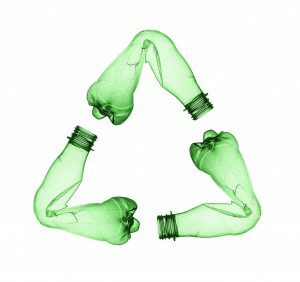 Ecology Auto Parts is committed to providing equal recycling access for the region’s homeowners and businesses. We also want to make sure that people in both categories can receive the financial benefits of their environmentally conscious efforts. 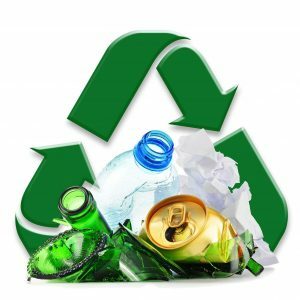 To that end, we make our recycling location fully available to both the private and corporate sectors of Lake Arrowhead and all neighboring communities north and south of the San Bernardino Mountains. Business, corporate and industrial recyclers will especially appreciate our high-capacity facility. To make the process as easy as possible, you can request delivery of a roll-off recycling bin to your address. Just let us know when your bin is full (or you’ve completed your scrap removal), and we’ll transport it back to the Center. Choose from a range of convenient bin sizes and configurations. If you have any questions about the acceptability of items or materials you plan to recycle, please let us know. Located high in the San Bernardino Mountains, Lake Arrowhead is a San Bernardino County census-designated place with a population of 12,000-plus. The community surrounds its namesake Lake Arrowhead Reservoir, and millions of visitors arrive every year to take advantage of its scenic venues and plentiful accommodations, shops, and activities. Unlike much of Southern California, Lake Arrowhead has four distinct seasons, with significant snowfall in the winter months. The communities of San Bernardino, Highland, and Rialto lie to the south, and the communities of Hesperia, Apple Valley and Victorville lie to the north. Our recycling center is located just north of Lake Arrowhead in the High Desert. Every day, we proudly serve the area’s households, businesses, corporations and industries with convenient, accessible recycling services. Contact us today for more information and details on the rates we offer for ferrous metals, non-ferrous metals, and CRV containers.